There are suggestions that Sony is planning a sequel to its Z series. We take a look. 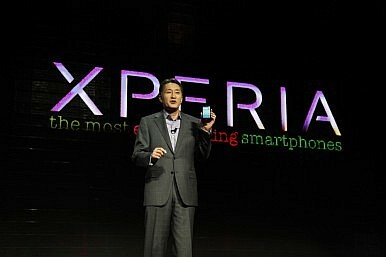 Sony has been one of the most active smartphone manufacturers of 2014, despite the fact that the company’s products may have not been seen under the spotlight as often as the competition’s. This might have something to do with the fact that Sony keeps struggling with low stock, but regardless, the Japanese manufacturer has already launched two flagship phones for 2014. Interestingly enough, the latest leaks and rumors are suggesting that Sony is planning on releasing a sequel to the Z series, dubbed the Xperia Z3. More so, it looks like the Xperia Z1 Compact will also get a first follow-up, dubbed the Xperia Z3 Compact. Needless to say, Sony appears to have big plans for the rest of 2014 and today we’re going to try and take a peek into the future by rounding up the most revealing leaks and rumors surrounding the two aforementioned Xperia devices. We’ll start off with the first leak surrounding the new Xperia line-up, specifically the Z3. Back in May (or roughly two months after the Xperia Z2′s official announcement), a leaked picturedepicting the alleged metal frame of the device has made the rounds on the web, alongside additional information suggesting that the smartphone will also be treated with a PVT coating, which increases corrosion and scratch resistance. The same source has also suggested that the Xperia Z3 will feature a 1080p display, a Snapdragon 805 SoC boasting four Krait 450 cores clocked at 2.7 GHz each, an Adreno 420 GPU, and 3 GB of RAM. According to the same report, the gadget will also pack a 20.7 MP main camera. However, newer rumors and leaks have emerged. Before moving on however, we should point out that even if the aforementioned specs are not spot on, that doesn’t mean the metal frame is fake by default. It can very well indicate that Sony may have had a change of heart before starting to put the hardware pieces together. Earlier this month a new range of specifications for the Xperia Z3 surfaced via a leaked screenshot showcasing the handset’s “About Phone” menu. The shot also revealed that Z3′s model number is “D6653″. It’s basically the same device that managed to score 37,169 points in AnTuTu just a few days ago. Spec-wise, the latest leaks suggest that the Z3 will in fact sport a quad-core Snapdragon 801 MSM8974-AC SoC clocked at 2.5 GHz per core (same as the LG G3 and the Samsung Galaxy S5). The source of the “About Phone” screenshot has revealed that the handset’s screen resolution is set at 1080 x 1920, so it looks like Sony may not be ready to jump on the QHD bandwagon just yet. The first exciting Z3 Compact leak surfaced at the beginning of July, and it’s been shared with the rest of the smartphone enthusiasts via Twitter by none other than XDA developer “DooMLoRD”. According to one of his tweets, the Z3 Compact will feature a Snapdragon 801 SoC clocked at 2.5 GHz (basically the same unit as the one powering up the Z3), an Adreno 330 GPU, 2 GB of RAM, and a 20.7 MP camera complemented by a 2.1 MP front-facing sensor. Supposedly, the Z3 Compact can be identified by the model number D580x, and chances are that the gadget packs the same raw hardware specs as its full-size counterpart. Speaking of which, DooMLoRD also mentioned that the Compact will feature a 4.5-inch display, making it 0.2-inch larger than Xperia Z1 Compact’s screen. However, despite the larger panel, DooMLoRD suggests that the Compact will deliver a thinner bezel and the same overall dimensions as its predecessor. The screen’s resolution hasn’t been disclosed. One of the most interesting aspects regarding the new Z3 lineup is that Sony will use it to introduce a new design language that is derivative from OmniBalance. At least that’s what the famous leakster @DooMLoRD suggested about a month ago via Twitter. Supposedly, the handset will be just 7 mm thick and it will have a slim bezel. Speaking of bezels, at the end of June a couple of leaked photos showcasing the alleged front panels of both the Sony Xperia Z3 and Xperia Z3 Compact hit the web. The bezels are indeed very thin, but given the fact that the pictures are showcasing only the glass panel itself, it’s quite difficult to determine the exact width of the device, once you add the aforementioned metal frame and the body itself. Initially, the Sony Xperia Z3 was said to arrive in August, simply because during the Mobile World Congress, Sony’s Creative Director Kurozumi Yoshiro said that the company must update/refresh certain models once every six months, in order to remain at the top of the flagship game. However, it is now being speculated that both the Xperia Z3 and the Z3 Compact will be present at IFA in Berlin, which will be held between September 5 and 10. Rumor has it that Sony will release both smartphones only a few days after IFA closes its doors to the public. The Xperia Z3 Compact, on the other, hand continues to be as promising as the original model. It allegedly packs the same top-tier hardware specs as the Z3, all wrapped up in a more compact body. More so, with a 4.5-inch display, the lack of a 2K resolution is definitely not a deal breaker. Are any of The Diplomat’s readers eager to buy either one of these smartphones once they hit the shelves? What’s your take on these handsets, assuming that the latest rumors are indeed spot on? Feel free to share your thoughts in the comment section.